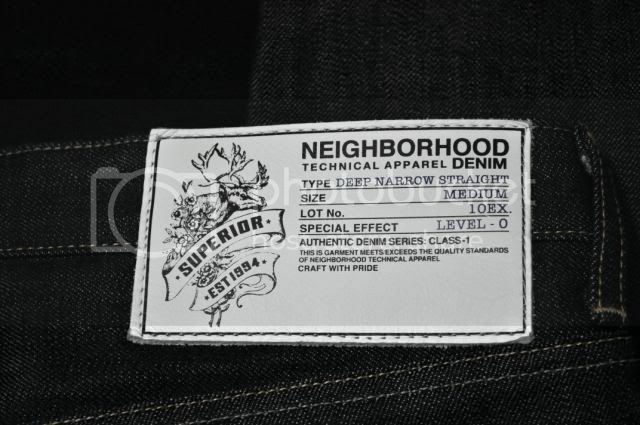 This season Neighborhood introduced their most modern cut- Deep Narrow, the jeans have a roomier crotch than their standard Narrow cut and the legs have more of a taper. In my opinion this is Neighborhood's most attractive fit style to date. 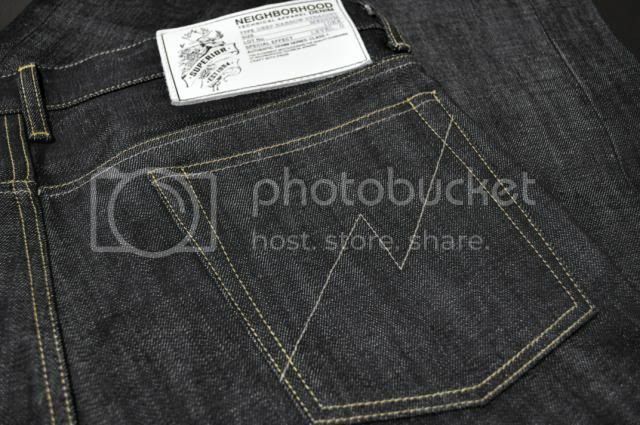 The jeans are a 14oz selvedge denim with a beautiful texture. Detail-wise Neighborhood always gets the job done, the stitching is done in two different colors, the patch includes all of the season and cut information and the pockets have some detailed print. 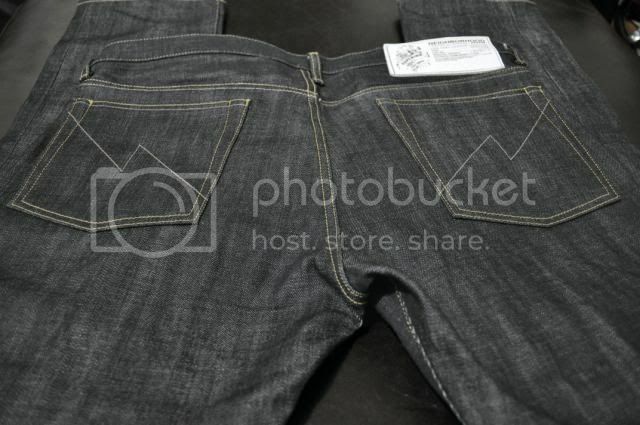 Take a closer look at the Deep Narrow raw jeans after the jump. 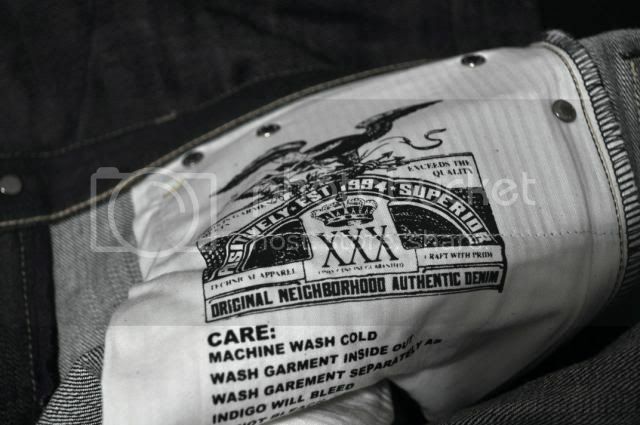 solifestyle recommends these jeans and the Neighborhood branding makes them even more attractive. A word of advice on sizing- many people size up in the Narrow cut because of the slim thighs however we strongly recommend you stay true to size on these. Size S fits about waist 32 and Size M fits about waist 34.